Despite advances in treatment and prevention, almost 37 million people worldwide are currently infected with HIV. Now, new research is discovering how small molecules can be used to ‘open up’ the virus – allowing the immune system to target and destroy it. The research, published in Cell Host and Microbe, was conducted by the University of Melbourne, Tufts University School of Medicine, Université de Montréal, Harvard Medical School, Yale University and the University of Pennsylvania. 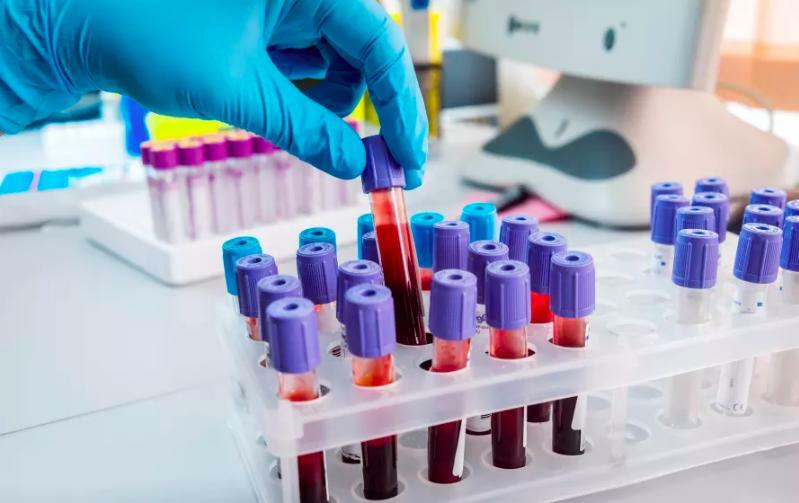 HIV hides inside T cells, a subset of infection fighting white blood cells, and is very difficult to target and treat without debilitating side-effects. That is because the virus infects and eventually destroys T cells, and once the number of T cells becomes too low, the body is vulnerable to a large number of infections and illnesses – often fatal. HIV infects T cells by using proteins called envelope glycoprotein (Env) spikes located on the surface of the virus. These spikes interact with receptors on the surface of T cells much like a key in a lock, opening a way for the virus to enter the cell and hide. But HIV’s Env spikes are more than a simple key. They can turn the key in the lock and push open the door. 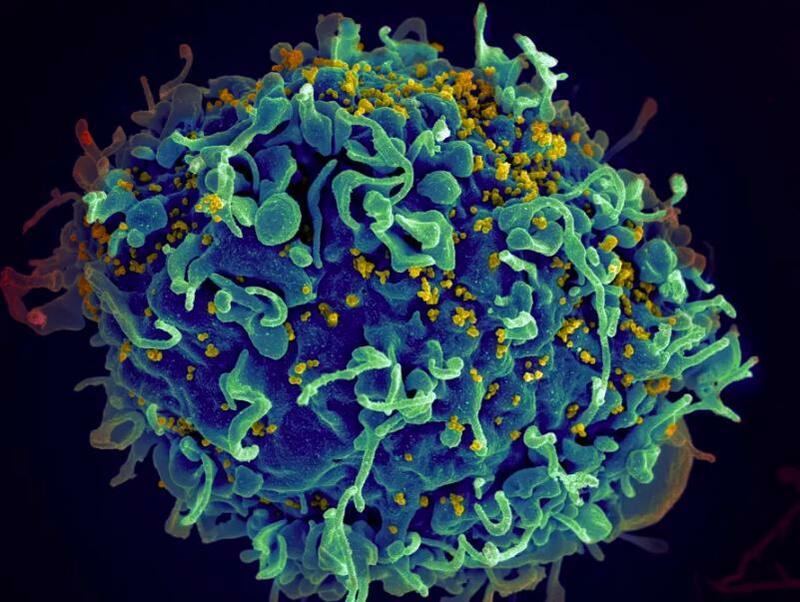 To do this, they change shape after interacting with the cell receptor which allows the genetic material of HIV to enter the T cell and multiply. The Env spikes on the surface of the virus aren’t recognised by the immune system, the same way we can’t identify what’s inside an unlabelled can of food. But what the researchers have found is that once the Env spikes start interacting with receptors at the surface of T cell, the spikes change shape, opening up and exposing previously hidden parts that can now recognised by the immune system. The idea now is to try to get the Env spikes to change shape earlier by exposing them to a compound that makes the virus think it has encountered receptors of a T cell. “By incubating the virus with small molecules that mimic receptor of T cells, we change the shape of the Env spikes before the virus can enter and hide inside human cells,” says Associate Professor Isabelle Rouiller of the Bio21 Molecular Science & Biotechnology Institute at the University of Melbourne. “The compound opens the can and exposes its contents. The virus is now visible to our immune system and can be destroyed. Once the virus is exposed by the compound, the immune system generates antibodies that bind to these newly exposed regions and label the virus for destruction by a mechanism called antibody-dependent cellular cytotoxicity, or ADCC. A 2015 study by Associate Professor Andrés Finzi at Université de Montréal showed that exposing vulnerable parts of the Env proteins allowed infected cells to be eliminated by ADCC. “The characterisation of this new shape of Env proteins reveals unique details about the vulnerability of HIV that might be useful in strategies aimed at its eradication,” says Professor Finzi, one of the study’s lead authors. 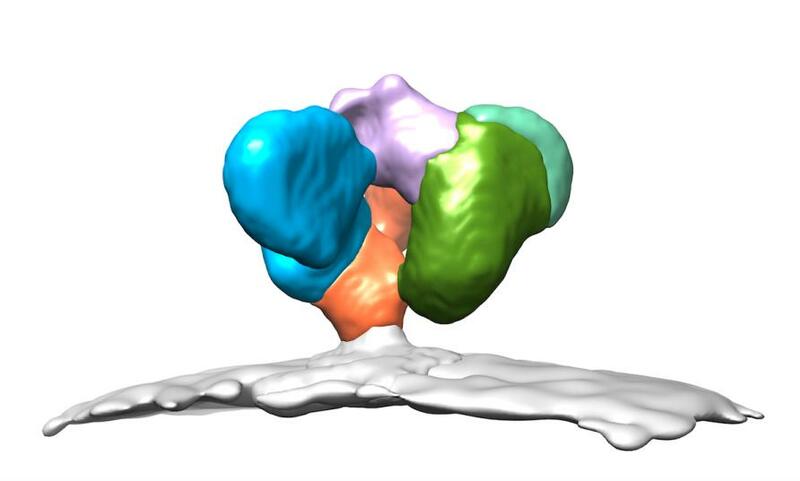 The team visualised this new Env protein shape through new imaging techniques including single-particle cryo-EM at the University of Melbourne and single-molecule Förster resonance energy transfer, or smFRET, at Tufts University School of Medicine in Boston. “We hope that visualising the virus envelope’s shape will help in the development of vaccine candidates that specifically exploit ADCC,” says Dr James Munro, lead author of the study and assistant professor of molecular biology and microbiology at Tufts University. Dr Munro helped pioneer the use of smFRET to understand how the HIV-1 virus infects a human cell in real time. Until now, we didn’t know which HIV protein shape was most vulnerable to treatment. But smFRET and cryo-EM show these proteins are dynamic with moving parts that adopt different shapes in response to different stimuli, like antibodies or small molecules. Associate Professor Rouiller used cryo-EM in her research nearly 20 years ago and was one of the first researchers worldwide to understand its power. She continues to use it to visualise HIV and proteins at the surface of the virus. By placing an inactive form of the virus, frozen in liquid ethane, in an electron microscope and taking images, she can see the Env spikes on the virus and calculate the shape of the spikes. “Cryo-EM allows us to look directly at biological samples in a state very close to life,” says Associate Professor Rouiller. 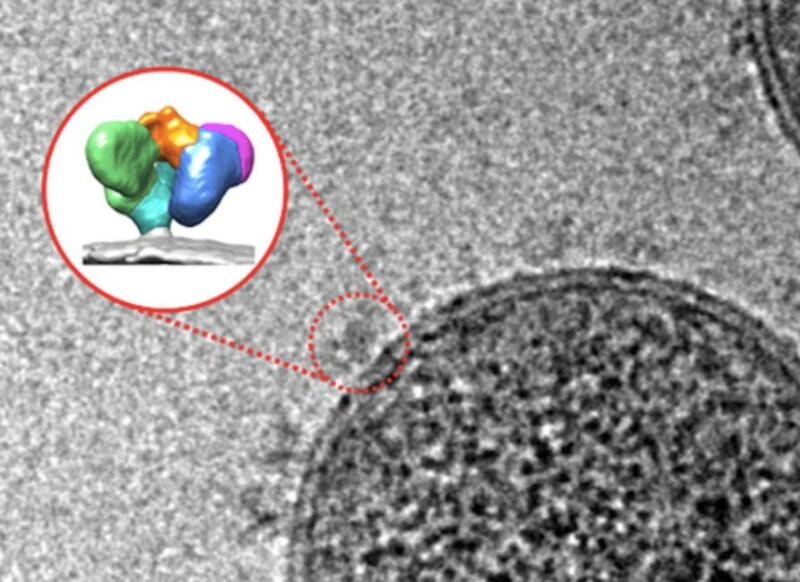 In order to see the HIV virus using cryo-EM, the biological sample is frozen at more than 10,000 degrees per second as its plunged into liquid ethane at around minus 170°C. The inactive virus is then imaged over the course of a day using an electron microscope, revealing nodule-like spikes on the outside of the virus. These images are analysed by a computer to determine with high-precision the three-dimensional shapes of the spikes and, in this study, the specific shape that allows antibodies to bind and induce ADCC. The computational approach is similar to the one used during a CT-scan to generate three-dimensional images of the body. “It is fascinating to see how viruses protect themselves,” says Associate Professor Rouiller. NextCAN AFRICA EVER DEVELOP LOOSING ITS STRENGTH TO BRAIN DRAIN?